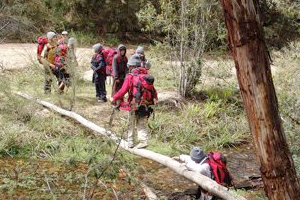 Bournda EEC has been involved with Aboriginal boys from Eden Marine High School and Bega High School in a series of wilderness walks in South -East Forests National Park. The program was assisted by National Parks and Wildlife staff. 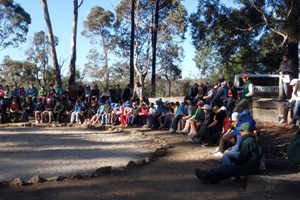 Bournda EEC in conjunction with NPWS, Eden Local Aboriginal Land Council and local primary school students have celebrated NAIDOC week with a program of activities at Jigamy Farm, south of Pambula. 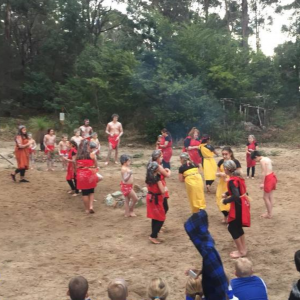 Students have been introduced to traditional foods, dance & art, Aboriginal storytelling as well as hunting & gathering activities.